Automated Optimization vs. Analytics: What’s the Best Path to Optimization? Analytics packages seem to have it all. At first glance, integrated dashboards provide a snapshot of operational processes, metrics and key performance metrics (KPIs). Unfortunately, analytics as an actual cost reduction tool in chilled water systems are limited unless a human takes action on this information to adjust operations. 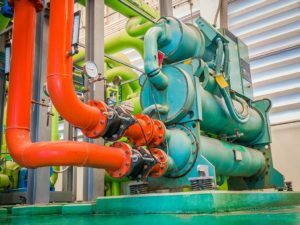 Optimizing the efficiency of dynamic systems, such as a chilled water plant requires action, ideally continuous action, that does not rely on manual intervention. Of the four basic levels of efficiency improvements in use today, optimization and analytics are the most discussed. While they are complementary, they are not the same. Analytic and model-based strategies simply suggest edits, not action. 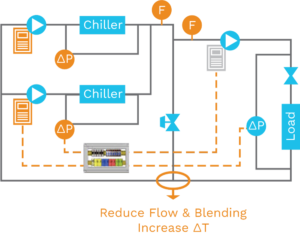 Without automation, analytic software cannot optimize dynamic settings like a chilled water plant. The Approachable Experts™ at tekWorx can help your team go beyond analytics to optimize the efficiency of your dynamic system. Our automated optimization solutions maximize the use of your existing mechanical equipment and controls to significantly improve plant performance. Using adaptive algorithms to continuously analyze real-time process variables, key control parameters are automatically adjusted to minimize plant kW/ton without any human intervention. 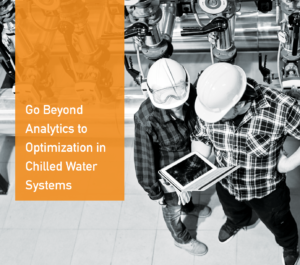 For more information about the differences between chilled water plant efficiency improvement models, download our “Go Beyond Analytics to Optimization in Chilled Water Systems” white paper. Discover how tekWorx puts our Approachable Expertise® into action by reading our online case studies. Then contact us to discuss how we can work together to improve the energy performance of your unique plant. Whether you’re looking for a self performance solution or a comprehensive, commissioned solution, we have your optimization needs covered. Pharmaceutical manufacturers require 100 percent reliability in their chilled water plants to maintain product quality, ensure the validation of test results and eliminate manufacturing downtime. Having the “correct” plant chiller sequencing set once is simply not enough to meet ongoing operational demands. On a daily basis, increased loads occur, weather conditions vary and unexpected maintenance issues happen. That’s why continuous, automated optimization is key. Pharma facility directors can reduce energy costs even in the most demanding environments by tapping into tekWorx engineering expertise and adaptive control algorithms. At tekWorx, pragmatic solutions and proven chilled water plant optimization technology help companies minimize plant kW/ton while maximizing the use of existing equipment and limiting implementation downtime. Our CEO® solution, which utilizes the Niagara 4® platform, uses adaptive algorithms to continuously analyze real-time process variables and then automatically adjusts key parameter values for real optimization. Easily integrated with any BAS, any mechanical configuration and any equipment make/model, the CEO® is the leading choice for effective, operator-free optimization. tekWorx recently worked with the Allergan Global Energy team to optimize their Irvine, CA, manufacturing site’s chilled water plant. While producing popular products such as BOTOX®, JUVEDERM® and LATISSE®, the company struggled to meet an installed capacity of 6,300 tons due to hydronic issues and the load shedding required on high temperature days. Discover how we put our Approachable Expertise® into action for other pharmaceutical companies by reading our online case studies for GSK and Merck. Then contact us to discuss how we can work together to reduce your energy and operating costs with no downtime. When hearing the phrase energy audit, do you automatically think a) we did that years ago, or b) it’s not in the budget for this year? Consider what it would mean for your corporate bottom line if a free energy audit reported that your company could realize an annual savings of 10-50 percent in energy costs? Well-prepared energy audits reveal a range of solutions, while requiring only a minimal investment of corporate time. At tekWorx, our engineers start the no-risk audit process by performing an onsite evaluation – inspecting the chilled water system piping, equipment and controls, viewing design plans and talking to operators. In addition, the tekWorx team reviews plant chiller logs and bin data to help acquire an overall energy-efficiency baseline. tekWorx delivers our customers a unique blend of Approachable Expertise®, increasing operational efficiency and reducing energy costs while designing pragmatic solutions to meet their unique needs. As part of the recommended solution, our team seeks to improve energy efficiency by maximizing current equipment instead of making additional capital expenditures. To see how tekWorx turns energy audits into real-world results, read our online case studies. Then fill out our Chiller Plant Evaluation Form or contact us to initiate the free, comprehensive audit process. As you work to save kWh and $, you want an energy optimization solution that automatically and continuously minimizes consumption. That means it requires no manual intervention to optimize your chilled water plant. 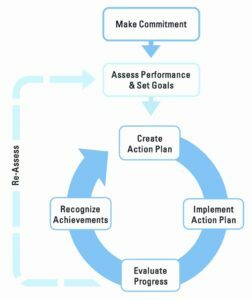 Optimization projects usually start with an evaluation of the current plan. The evaluation results in recommended measures to reduce kW/ton and a corresponding energy savings projection. Under the Model-and-Tweak approach, the optimization plan, or “Model,” uses collected data to create a series of operating “recipes.” These contain the values of key operating parameters for the full range of expected load and ambient conditions. As these conditions change during actual operation, the BAS looks up the corresponding values. It then uses them in its program to control the plant equipment. Similarity to the actual system: For example, are there allowances for conditions that cannot be practically modeled, such as piping idiosyncrasies or electrical service limitations? The model can also often miss the all-too-often scenario where the drawings don’t exactly match the “as-built” reality. Operating assumptions: Most models assume that the correct control sequence will always be followed during actual operations. We all know that rarely happens. Models also don’t consider common operational issues, such as equipment performance that doesn’t match the specs or maintenance problems that require override. The Tweak process compensates for the inherent Model limitations. It starts with actual plant efficiency and equipment operating data collected by the BAS. The Model-and-Tweak supplier technicians periodically review the data and then determine revised recipe values to adjust for the Model limits and further reduce the kW/ton. The BAS uses the revised parameter values, and the collect/analyze/tweak process is repeated. As with the Model, practical limitations hinder the Tweak effectiveness, in large part because there’s no way to predict the frequency, duration or timing of the disruptive events. The frequency of the Tweak and the technician skill level can also play a part. The adaptive control approach also starts with a model that produces a set of initial values for the key operating parameters. The difference: The system uses the model’s initial value just once. It doesn’t continuously rely on these values with their inherent limitations. Then, the adaptive algorithms continuously analyze the real-time process variables and automatically adjust the parameter values on-line without operator intervention. 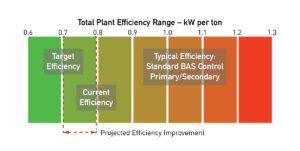 To learn more about how tekWorx can use the adaptive control approach to increase your plant’s KWh efficiency and cost savings, contact us. Then, follow us on LinkedIn for the most up-to-date news and events. Did you know that if your chiller plant features a primary/secondary (P/S) design, you are likely not operating at maximum efficiency? 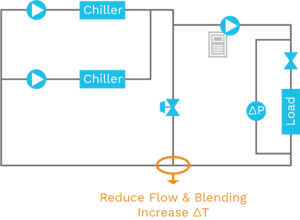 With the introduction of variable speed drives in the 1970s, the P/S design was created to take advantage of the newfound ability to modulate flow with load and the added flexibility for chiller staging. At the same time, the system met the requirement for constant evaporator flow. Quickly becoming the standard, the primary/secondary design continued to be used in new plant construction, even after microprocessor chiller controls unlocked previously unreachable efficiency gains in the 1990s. The main shortcoming of the P/S layout is that its cooling strategy is solely focused on the hottest day of year, creating inadequate energy efficiency for the remaining 364. Fortunately, these existing systems do not need to remain inefficient thanks to the tekWorx Integrated Primary/Secondary (IPS®) retrofit design. The IPS® retrofit requires only minor mechanical and control system modifications, a short installation time and minimal system disruption. The result? Major energy savings and utility rebates. The most common application of the IPS® is via the addition of a valve that eliminates bypass flow and improves system control. In instances where inserting a bypass valve is not an option – because it requires plant shutdown or other circumstances make this modification impractical – there is an alternative. Instead, tekWorx matches the primary and secondary loop flow to minimize bypass flow. To see how tekWorx utilized an IPS® retrofit to reduce cooling costs by 28% at Chrysler’s North American headquarters, read our case study. Then contact us to discuss how our IPS® retrofit design can save money and earn utility rebates for your company. When you’re looking for an expert, you want to work with the Einsteins of the industry. But what happens when you get an Einstein who can’t explain their innovations or play nicely with your operators? When it comes to chilled water systems, tekWorx offers a unique blend of Approachable Expertise®, increasing operational efficiency and reducing energy costs while partnering clients with pragmatic and available experts. The tekWorx team of experienced engineers constantly delivers customized solutions and services, but their dedication doesn’t stop there. They pride themselves on being accessible and collaborative during all the phases of chilled water plant optimization projects, on plants small and large. Qualify & Quantify Through an online or on-site System Energy Assessment (SEA), our engineers thoroughly review your chilled water system’s infrastructure, operating history and equipment to provide a detailed energy payback analysis. Flexible Design & Installation We don’t believe a one-size-fits-all solution can truly optimize a plant. Instead, our team designs a solution utilizing your existing equipment and unique layout and tekWorx adaptive control algorithms to ensure continuous, real-time efficiency. Monitor & Verify Our work doesn’t end with system installation and startup. After comprehensive operator training, remote communication and monitoring capabilities allow our engineers to be available at all times. tekWorx solutions are easily integrated into plants of all types – pharmaceutical sites, automotive plants, telecom centers, hospitals, college campuses and more – and all mechanical configurations. See how we cut cooling costs by 40% and earned a $800,000 utility rebate for an auto plant, all while providing superior support and service. To see tekWorx can put our Approachable Expertise® to work for you, contact us. For the most up-to-date news and events, follow us on LinkedIn. tekWorx recently worked alongside the Allergan Global Energy team to optimize chilled water plant operations at their Irvine, CA manufacturing site. The makers of such well-known products as BOTOX®, JUVEDERM® and LATISSE® were struggling to meet an installed capacity of 6,300 tons due to hydronic issues and the load shedding required on high wet bulb temperature days. Modifications had also been made over the years that caused system and equipment imbalances that negatively impacted the site’s energy profile. While a BAS control system was in place and functional, it did not provide any optimization. Because the site already had a functional BAS system, tekWorx took a pragmatic approach by integrating our supervisory CEO® with Allergan’s existing system instead of replacing it completely. tekWorx engineers converted the plant to a full variable flow, reset CHW supply temperature based on enthalpy, and implemented efficiency-based chiller sequencing to improve utilization and performance, all with minimal downtime. The tekWorx results don’t end here. Check out our case studies for more happy bottom lines in a wide range of industries. To see how tekWorx can put our Approachable Expertise to work for you, contact us with your chiller control and optimization questions. You can also follow us on Facebook, Twitter and LinkedIn for our most up-to-date news and events. You sometimes meet people and immediately understand their impact will be felt far and wide for years to come. 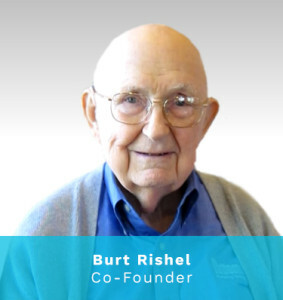 Our co-founder Burt Rishel was one of those people. He made his mark in design, engineering and writing while influencing those around him with his intelligence, heart and dedication. which earned him the nickname Professor Pump. Professor Pump first founded Systecon, and then helped launch tekWorx in 2000. He loved designing pumping systems and helping companies operate more efficiently. His work took him across the country, serving as a consultant for the chilled water systems at the Denver International Airport, the National Institute of Standards and Technology and the National Institutes of Health. “At tekWorx, we are indebted to our co-founder, friend and inspiration. His knowledge made us a pioneer in the field. His mentorship molded us. His customer-first focus motivated us,” says Managing Partner Mike Flaherty. Burt passed away in August 2013, leaving a legacy that all of us at tekWorx strive to live up to every day. Discover the next generation of Professor Pumps. Contact tekWorx today with your energy-saving questions and see how we can partner together to achieve an effective chiller plant optimization solution. Plus, follow us on Facebook, Twitter and LinkedIn for our most up-to-date news and events. With the arrival of fall temperatures many companies are turning up the heat! As a company that focuses on chiller optimization you may think tekWorx is preparing to hibernate for winter, but you’d be wrong! Many tekWorx clients require cool temperatues year round, in particular healthcare organizations. Operating rooms are required to maintain a 60 degree temperature and the storage of tissue samples used to diagnose patient illness require cold storage for preservation. Because tekWorx focuses on customized solutions that automatically fluctuate depending on building need to conserve as much energy as possible, operating room and tissue samples stay cool year round. Not to mention energy costs are significantly reduced! Want to learn more on how tekWorx Approachable Expertise can help your industry with energy efficiency? Contact us or fill out our Chiller Plant Evaluation Form! At tekWorx we’ve been keeping up our reading list the last few weeks on some of our favorite blogs and sites, tracking the best stories in energy efficiency. What could the future bring for energy audits? Greentech Media has an article exploring the differences and effectiveness of virtual energy auditing. In a similar vein, the idea of creating effective tools for reporting and analytics is gaining new perspectives for success. GreenBiz highlights the LEADR formula and looks at key attributes for successful and functional energy analytics tools. Abel at The Controls Freak puts out some awesome content regularly, and we’ve once again been featured on the blog with one of our Ask an Engineer articles! If you haven’t seen it yet, go check it out!  Stay tuned for more great articles and more Approachable Expertise!